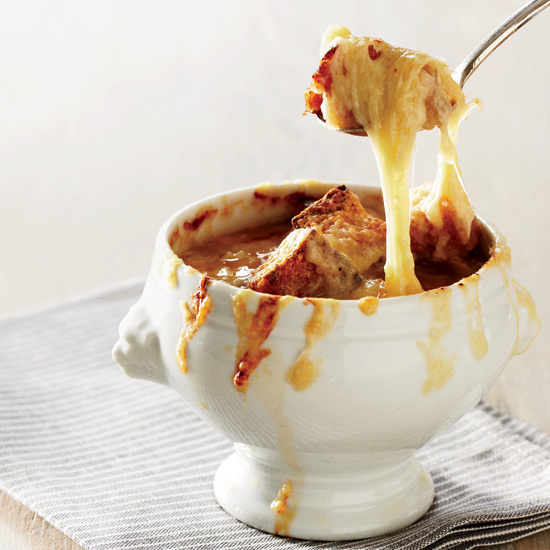 Is there anything more comforting on a chilly day than a steaming bowlful of French onion soup topped with a gooey layer of melted cheese? Yes, there is: five bowlfuls. 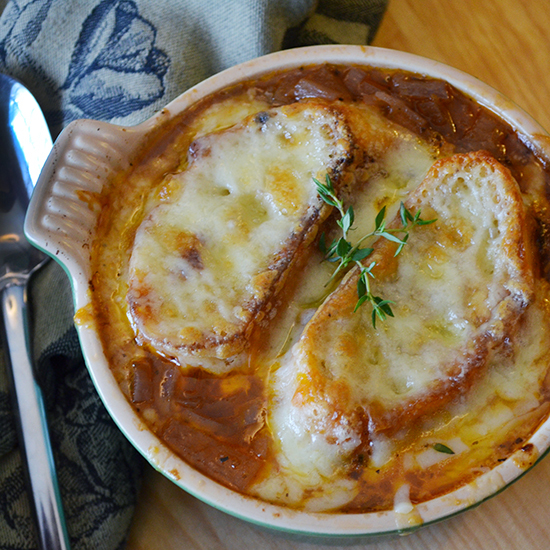 Here, five incredible recipes for cheesy French onion soup. 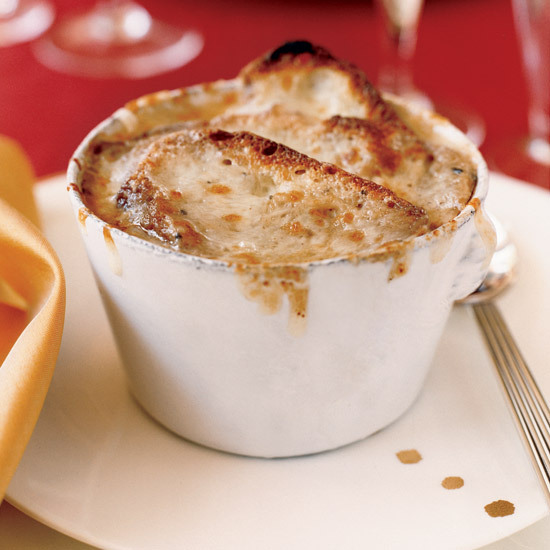 Star chef Michael Mina's decadent soup features gooey, truffle-infused pecorino cheese. What's the secret to this hearty soup? If you make the beef broth a day in advance and refrigerate it, it's supereasy to skim off the cold, solidified fat, and you'll have a soup with a clearer onion flavor. F&W chef-in-residence Andrew Zimmern's recipe—bright with sherry vinegar and thick with onions—is a perfect, buttery version of the classic. A great melting cheese that hardens around the bowl into seductively crispy bits is a must for this classic. 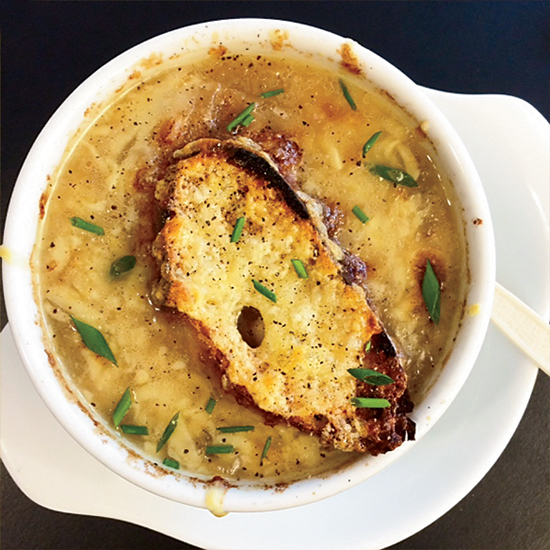 French-Canadian chef Hugue Dufour makes a deliciously smoky pork broth for his take on French onion soup.